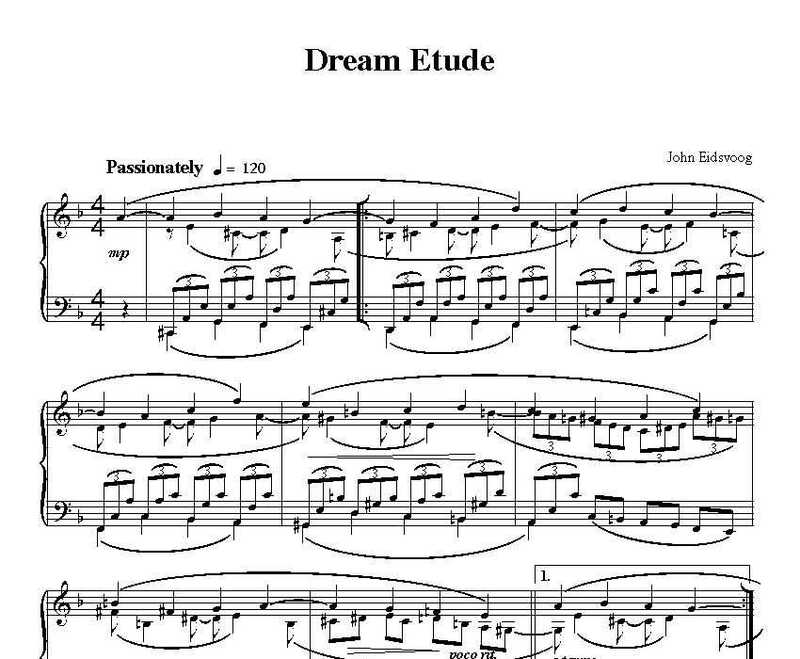 This is John Eidsvoog’s composition, Dream Etude. The theme came to him in a dream and he was able to remember enough of it to create this etude. This piece is intermediate level of difficulty.